I spent the last weeks of this past January at Villa Soul in South Africa, and the day after I’d arrived there, Stella, my host, and I sat down at her dining table. Stella had mentioned a couple of weeks earlier that she wanted me to use my time at Villa Soul to let myself be taken care of, so that I could rest, and just BE. I hadn’t asked for anything. I was coming from six weeks spent with my friends and family in the tropics. However, as she sat there, reminding me of her intention, my soul was suddenly overwhelmed by a sense of relief. As her words sunk in, I was becoming aware of the weight I had been carrying over my shoulder. As I opened my mouth to thank her, I had to stop mid-sentence to make room for the tears. I was kinda taken by surprise. Where were these tears coming from?! But you know, (and I mean, you KNOW), being an entrepreneur is not an easy journey. It sure is gratifying, but it can be a lot of work. And it’s fun. Sometimes. Most of the time. Except when you’re tired. When you get so caught up in all of this that you forget to let your soul breathe. And BE. It’s not always easy to do that. You think: Maybe the week after next, when I’m done with that project? Monday? Between that client session and the mastermind call? Yeah. Oh wait. No, I still have those 457 emails to reply to, 32 saved posts to read, 13 videos to watch, and 7 courses to finish first! But then when you do find the time to not DO things, your thoughts seem like they didn’t get the memo. Sometimes it’s as if they received an INVITATION instead! The genuine Love in her eyes was overwhelming. My soul said YES, PLEASE, my heart overflowed. And so did my eyes. From the moment I set foot at Villa Soul, my soul felt like it had “arrived”. Like that feeling you get after a long trip, when you finally reach your destination and put your heavy bags down. And for the three weeks that followed, my soul has been rejuvenated in all sorts of ways. Stella’s Soul Retreat definitely lived to its name. We co-hosted a local transformational retreat that was so powerful that it was a no brainer that this was the perfect place for my upcoming writing retreat, with Stella as my Chief Nurturing Officer! Because there is something truly magical about nurturing our souls. Something immensely soothing for our entrepreneur hearts to let someone else hold space for us. And it’s so easy to forget, but the power of a heart full of Serenity, Peace, Joy, Love, Hope and Inspiration is not to be underestimated. We should all make time to rejuvenate our souls the same way we make appointments for regular checkups at the doctor’s for our health, or garage appointments for our car. 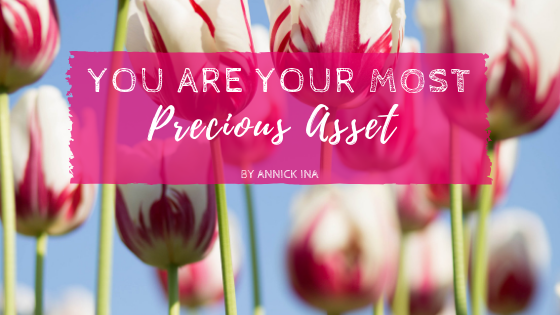 WE ARE OUR MOST PRECIOUS ASSET. Let’s remember to treat ourselves as such. Pssst….If writing a book is on your bucket list…my AUTHORS REVEAL interview series is just the double shot of inspirational espresso that you’ve been looking for! (Or, it could also be the Soul food you’ve been looking for 😉 ) CLICK HERE to see what I mean. Sign up and receive more stories and insights UNCENSORED! Become a VIP now! I Woke Up – And Remembered It.